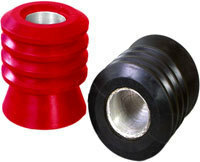 We offer various metal and rubber spares as per the requirements of the client. These include Hammer Union Assembly(as attach picture) size : 1" to 8". 100 PSI to 15,000 PSI., ALL SIZES HAMMER UNIONS AND RUBBER 'O' RING (FOR LOW PRESSURE) & GASKET (FOR HIGH PRESSURE) ARE READY STOCK. 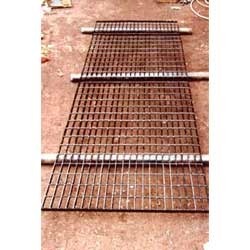 Size : 1" To 8"
We are engaged in offering Floor Grating to our esteemed customers. Characterized by high strength, the offered floor grating is built to last long. It has excellent load bearing capacity and impact resistance. Its slip resistant surface enables easy mobility of vehicles and pedestrians. Premium quality materials have been utilised for manufacturing the offered grating. We can offer this product in several dimensions, as per the needs of the customers. offered by us is in high demand in the oil drilling industry. Utilised for the separation of fluids from cement slurry, these plugs ensure optimum performance by eliminating contamination. 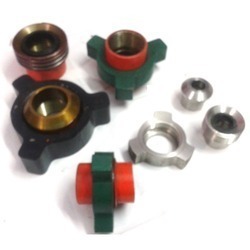 We make these cementing plugs available in several standard dimensions as per the requirements of the customers. Competitively priced, these plugs are highly demanded in the market. The offered plugs are in strict compliance with the prevailing industrial standards. Size : 5.1/2" , 9.5/8", 13.3/8", 7", 20" (TOP & BOTTOM) Conventional Plugs. 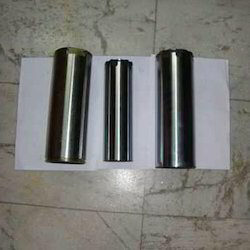 Our vast industrial expertise has led us to offer Wash Pipe to the esteemed customers. This comprehensive set has been manufactured in strict compliance with the prevailing industrial standards. The wash pipe is built to last long, even under harsh mud pressure conditions. These are subjected to quality tests on several parameters, to ensure that they are in compliance with international quality standards. Looking for Hammer Union Assembly for Oil Field ?